Editor’s Note: Walk With a Doc is a public outreach program for anyone interested in taking steps for a healthier lifestyle. Physicians host Walk With a Doc events, where they give a brief talk on a health topic of their choosing and then lead participants on a walk at their own pace. The Wichita County Medical Society hosts its Walk With a Doc events the second Saturday of each month. Physicians host more than 50 Walk With a Doc outings across Texas. Find one in your area. I have always enjoyed walking and running. However, I have several health issues to consider: degenerative spine disease, lupus, type 2 diabetes, and mitral valve prolapse (a condition when one of your heart’s valves doesn’t work properly). While out running one day in 2016, I felt a sharp pain in my back and down my legs. I immediately stopped running and even had difficulty walking more than a block. Finally, in December 2018, when my quality of life was no longer the “quality” I wanted, I had multiple surgeries to repair my back, all within a short period. 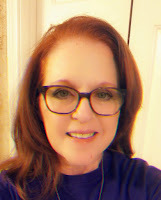 While recuperating I had more time to peruse social media, and an upcoming Walk With a Doc (WWAD) event in Wichita Falls popped up in my news feed. Interested, I reposted the link on my Facebook page asking if anyone would like to walk with me. My friend Cindy Bergin was the only taker. Cindy is a registered nurse at Sheppard Air Force Base in the disease management clinic taking care of diabetic patients. Cindy has had back surgery, too, and felt like walking would be good for her since seeing patients requires her to sit most of the day. a "Walk With A Doc" event. 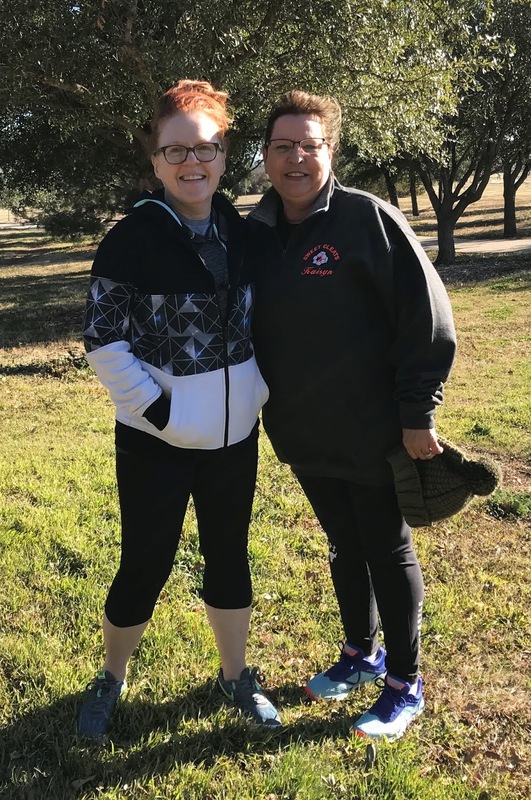 The first Walk With a Doc in Wichita Falls was Jan. 12, 2019 – exactly one month after my second surgery. It was cloudy and freezing, but Cindy and I decided to walk anyway. Everyone who came out shivered in the cold (we live in Texas and aren’t comfortable in below-freezing temps), but walking warmed up everyone, and the conversations and new friendships began. Cindy and I were already friends, but as life would have it, we rarely saw each other. After that cold Saturday in January, we had coffee and talked for two or three hours and decided to make walking together a daily event. Cindy and I have walked almost daily since – rain or shine, freezing or hot. We meet every Saturday to walk five miles then have coffee at a local coffee shop. It is always easier to stay committed to an exercise routine if you an accountability partner. I am so thankful for WWAD in Wichita Falls. Kim Taylor, the program’s organizer, is friendly, and the doctors have all been great! They all provide excellent information in their field of practice and answer questions. I look forward to WWAD on the second Saturday of each month to catch up with the people in the group, meet new people, and hear what the “Doc of the Month” has to say about health and exercise. 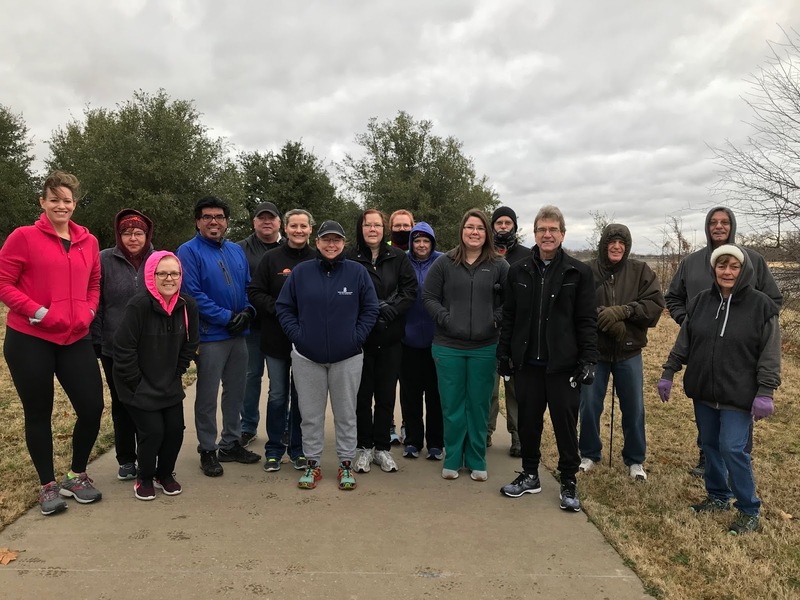 I have always been a huge advocate for walking as a means of exercise, and it is refreshing to see Walk With a Doc promoting that in Wichita Falls. Participants gather at the first Walk With A Doc event in Wichita Falls on January 12, 2019.